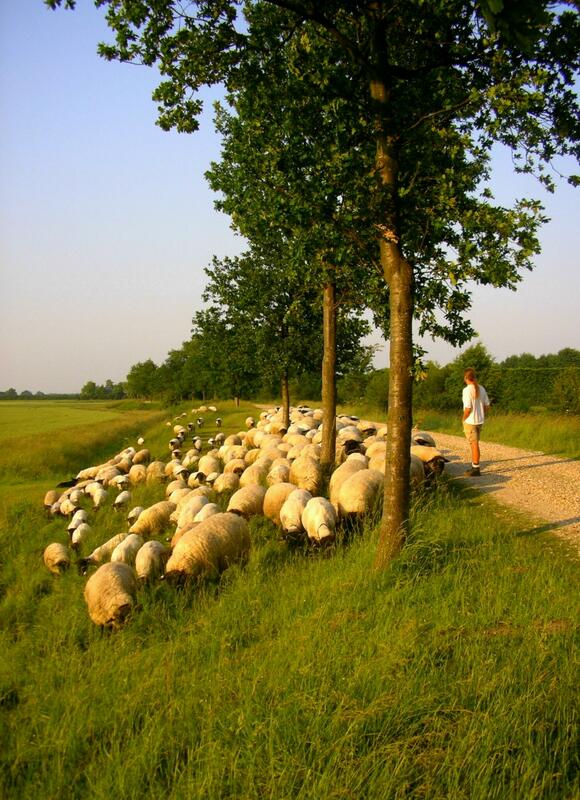 The pastor’s job is shepherding, thus the shepherd is his role model. His job is not political, vying to win votes. Though he is responsible to intercede for the people under his care and help them come before their God, the pastor is not the priest of the congregation. Though he is to faithfully expound God’s Word, the pastor is not a professor in the classroom (which is why I do no call the congregation to whom I am preaching “class”). Though it is necessary for him to lead people, the business executive is not his role model. And though there is a prophetic role to be carried out from the pulpit, the prophet still is not the pastor’s chief role model. He is a shepherd who has been ordained to the work of tending the flock assigned to him by the Chief Shepherd, Jesus Christ. That’s his work. That’s his job. That’s his divine calling. It is tempting in American evangelical culture for pastors to not do pastoral work. Shepherding isn’t as glamorous as those other models. In fact, it is rather lowly and insignifcant compared to politicians, priests, professors, executives, and prophets. The religious elite of Jesus’ day classified shepherds as thieves and they were not given full civil rights in the Jewish community. But this is God’s chosen role model. It is not surprising that God’s pattern for leadership would not be copied from the world’s models. The model is a long-standing one within God’s covenantal communities of Israel and the Church. The leaders of Israel were referred to as shepherds (2 Sam. 5:2; 7:7; Psa. 78:70-72; Jer. 12:10; 23:2; 50:6; Ezek. 34), and in the New Testament the leaders are identified by three terms: elder, overseer, and sheperd (Ac. 20:17 and 28; 1 Pe. 5:1-3). There are practical implications to the shepherd being the pastor’s role model. It speaks to me as to how the pastor does his work. While he must do it with firmness, watchfulness, and courage, tenderness is a vital quality of a shepherd. That doesn’t mean he is never stern, but in it he is gentle. Pastoring isn’t about being enthroned in the church and having the members fulfill the pastor’s every whim. While Hebrews 13:17 instructs a congregation to “obey” its leaders, it goes on the explain that the reason they are to obey is because they are “watching for your souls.” That sounds like shepherding to me. The pastor is not the boss of the church. He is the shepherd of a flock that needs to be led, fed, protected, and cared for. It reminds me that the pastor’s job isn’t to build the church but to tend the sheep. Christ will build His Church (Mt. 16:18) and the church will build itself up in love if each member does his part, including the pastor (Eph. 4:16). It is tempting to buy into popular models of church growth that revolve around styles, schedules, and cutting-edge programs. If Christ is building His Church, and if the church will build itself up, then a pastor’s time is better invested in caring for the souls of the sheep than trying to run the church. It directs me to the Psalms as a relevant manual for doing pastoral work. Reading Eugene Peterson has awakened me to this. He affirms that pastoral work is not about running the church, but curing souls. Curing souls involves using language that speaks to the heart. “The pastoral task,” Peterson writes, “is to use the language most appropriate to the basic aspect of our humanity – not language that describes [the teacher in the classroom], not language that motivates [the politician in front of a crowd], but spontaneous language: cries and exclamations, confessions and appreciations, words the heart speaks.” A pastor needs to be proficient in more languages than Greek and Hebrew. He needs to learn soul-language which, Peterson asserts, is the language of the Psalms. Pastors can be good at speaking the language of description or the language of motivation. But pastors need to become really good at speaking the “language of intimacy, the language that develops relationships of trust and hope and understanding,” in Peterson’s words, for what we are ultimately after as shepherds of the flock isn’t to dish out more information, isn’t to get the sheep to do more things, but rather to speak the language of their souls in order to nurture their relationship with God. This entry was posted in Uncategorized and tagged Church, Language, Leadership, Pastoral Work, Psalms, shepherd. Bookmark the permalink.